Watch out Bay Area, Danville just upped their mac and cheese game. 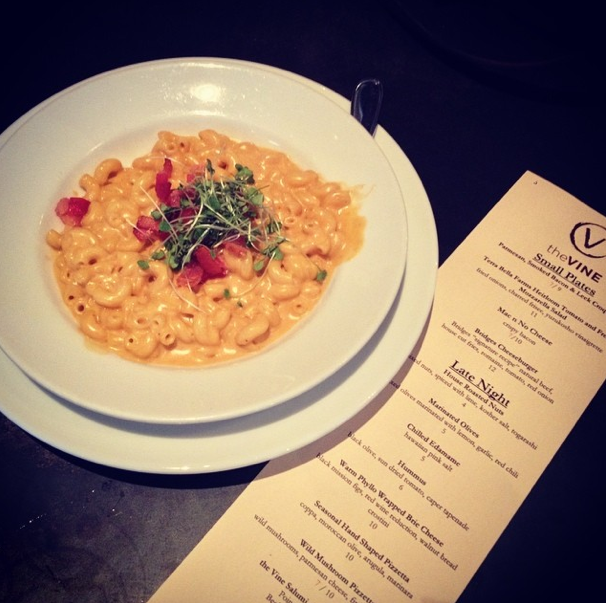 Last night, I had a fantastic butternut squash mac, called the Mac n No Cheese, at The Vine at Bridges. The atmosphere was trendy, definitely appealing to the Tri-Valley demographic. My friend and I managed to snag one end of a high-table, even though the place was close to packed. We had originally planned on just doing a wine tasting (they are a wine bar first and foremost), but then when we saw the small plates menu, decided we would split an order of the Mac n No Cheese. My friend prefers not to eat cheese, so the butternut squash was a welcome substitution. I've only had one other butternut squash mac that I really loved, and that was at Mua in Oakland. Unfortunately for Mua, Vine's version is far superior. The noodles were cooked to perfection, not too soggy or hard. The creamy texture is definitely better, and, if that wasn't enough, they added bacon bits. The butternut squash and bacon pairing really put them over the top and Vine has now landed a spot in my top ten! Besides the pasta, the best part of the evening was a great conversation with the general manager, who also happens to be a level three sommelier (if you don't know what that is, go watch Somm on Netflix, it's awesome). We must have spent close to a half hour or longer talking about different wines and the California wine regions and how they affect taste and quality. That kind of individual attention and appreciation for what they do at Vine really upped my respect for the wine bar. They also had a great dessert menu. My friend and I split the flourless chocolate cake, which was actually pretty fluffy for being flourless. I'm used to something much more dense. 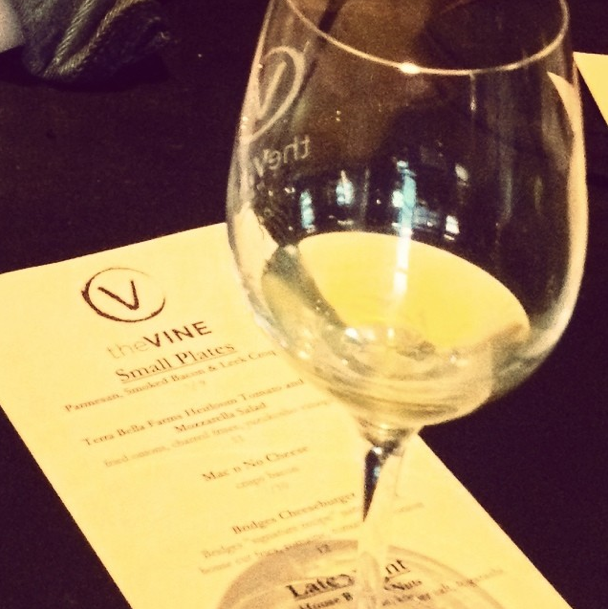 At first, the restaurant just seemed like your standard, hip Tri-Valley spot, but after a great conversation about their wines and their menu, I found myself eager to return for another helping of their Mac and No Cheese as well as some more great wine stories.